You know what it's like to experience financial issues. There are cold sweats. Increased anxiety. Short tempers. Feelings of doubt and helplessness. It doesn't have to be a dire situation where you wonder how you'll pay for the next meal. It can be just a shortage of funds from the holidays, or a looming college education for a kid. Not having the resources to meet your needs or aspirations affects all that you do, every hour of the day. For years, employers have contributed to employee financial well-being through compensation and retirement benefits. Both are obviously important, but many companies are now realizing those aren't enough. The average American adult owes $7,630 in revolving debt, $11,244 in student loans, $8,163 on vehicles, and $70,322 on a mortgage. Meanwhile, the typical household income is just under $52,000. Data shows that the typical American worker is taking home as much as 25% less than they were ten years ago (source). 72% of adults report feeling stressed about money at least some of the time, while 54% say they have “just enough” or not enough money to make ends meet at the end of the month. As such, there's a growing movement to invest in overall financial wellbeing benefits. Perks like employee discount programs, investment consulting, personal financial management software, tuition reimbursement, are all rapidly growing in popularity. Shouldn't employees be trusted to manage their own finances? Doesn't a company's financial responsibility end when an employee walks out the door? BUT smart companies have figured out there are great advantages to helping employees become smarter and savvier at managing their finances. These companies have figured out there are tremendous returns that usually outweigh the costs. Start with these five major returns on financial wellness benefits. Financial worry is all-consuming. It weighs on people and steals focus. 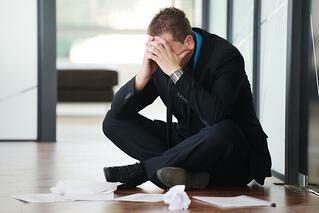 In day-to-day work, employees will waste time on the phone with creditors. They'll need more time off. They'll spend time staring into space, worrying. Long-term, they may take second jobs, or resort to alternative (maybe illegal) ways of supplementing their income. Regardless, financial worries are counterproductive. Ideally, your office should be a place of refuge, where people can focus on work and becoming great at their jobs. Benefits are expensive, as you're undoubtedly aware. Health coverage consumes most of the budget, and other perks have an unclear return. Making a case for new benefits is tough, but executives will sign off if you can show a clear ROI. Employees who have a stable financial situation are just more profitable. They don't require as much compensation, they're more productive, they're less likely to dip into retirement funds early, they have less absenteeism, and they take less of a toll on health premiums. Another thing to keep in mind is financial wellness benefits don't have to be expensive. Consider our employee discount programs. 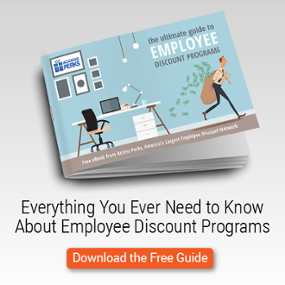 Employees who actively use the program can save around $2,000 annually. That's a lot of money saved on purchases they're already making, and a big ROI on what Access Perks costs the employer. Talk to your retirement plan administrator and schedule routine brown bag presentations and one-on-one sessions with employees. Odds are they'll do it for free. Look, employees who are financially secure are less likely to act sketchy. They're less likely to steal from the supply closet or root through colleagues' lockers. They're less likely to leak sensitive documents to competitors, and you probably won't find them brewing meth in an RV out in the desert during PTO. Employees who are properly managing their finances will be putting money away each month, saving for retirement, taking vacations, and all the other things associated with "getting ahead in the world." These employees are less likely to bail for a higher paying job. They're less likely to leave for a company that seems more empathetic to their needs (because many of those needs will already be met). It doesn't mean they're going to stop asking for raises, or hit rough patches where money is scarce. It just means that people who find themselves happy and getting ahead in life are far less likely to disrupt the current situation. Not to get all mushy, but ideally, employees should be better off for having spent time in your organization. There are workplaces who grind people down and extract every last ounce of value from employees before spitting them out unceremoniously. Then there are organizations that enhance the people within. These organizations invest in growth and opportunity within the office and improved living arrangements outside it. People want to work for these companies, they refer their friends to work at these companies, and when they leave, they often wind up "boomeranging" back to these companies. Financial wellness benefits are a way to improve the life of an employee immediately and for the rest of their lives. They just also happen to have big returns for the employer. They're just part of an organization that helps improve the lives of the people who comprise it. They're employees in the technical sense that they work for you, and are compensated to do so. But they're also human beings with complicated lives. They have families, homes, debt, chores, dreams, and everything else that comes with being an adult. Each of those has a huge impact on what people are able to accomplish in their role as "employee." You're not running a day care or a school; these are grownups after all. But helping them improve their lives is worth it. It's taking on a responsibility that pays off. Don't consider it an obligation as much as an opportunity. An opportunity to help employees save a ton of money today (employee discount programs) and live out their dreams (retirement planning). That's worth a lot! The best part, it doesn't have to cost much. And the returns are staggering. It comes back to your business in terms of productivity, loyalty, and overall satisfaction.